Sensoji (Sensō-ji) is an ancient Buddhist temple located in Tokyo’s cultural capital, Asakusa. 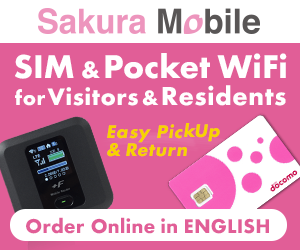 Not only is Sensoji Tokyo’s oldest temple, it is one of the most significant. The area is very wheelchair accessible and definitely a must-visit! The temple is dedicated to the bodhisattva Kannon (Goddess of mercy and compassion). Legend has it that a statue of the Kannon was found in the Sumida River in 628 CE by two fishermen and then housed in the village chief’s house. 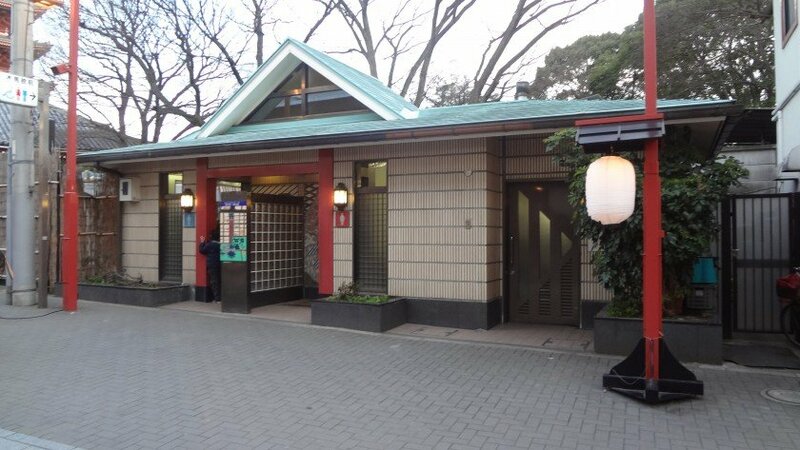 The first temple was founded in 645 CE – making it the oldest temple in Tokyo. 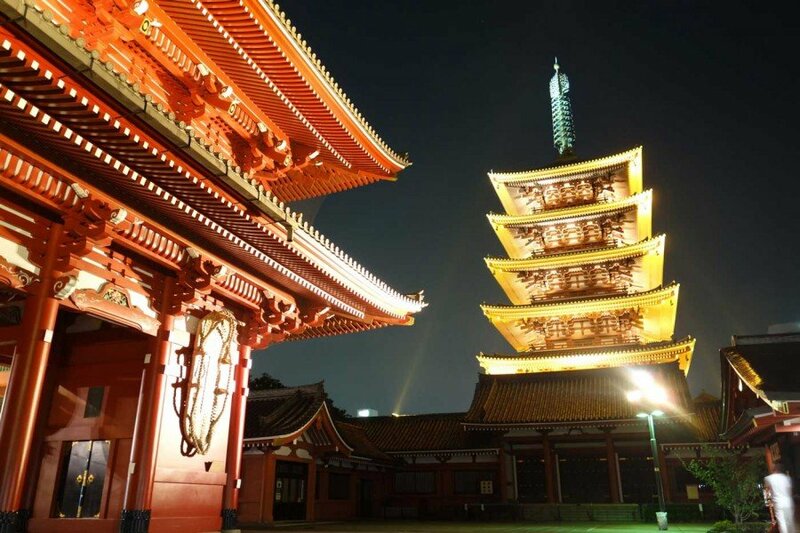 In the early years of the Tokugawa shogunate, Tokugawa Ieyasu named Sensō-ji as the temple of the Tokugawa clan. 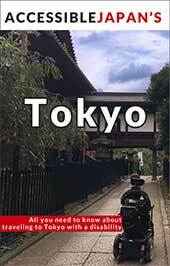 During World War II, the temple was destroyed in the fire bombing of Tokyo. 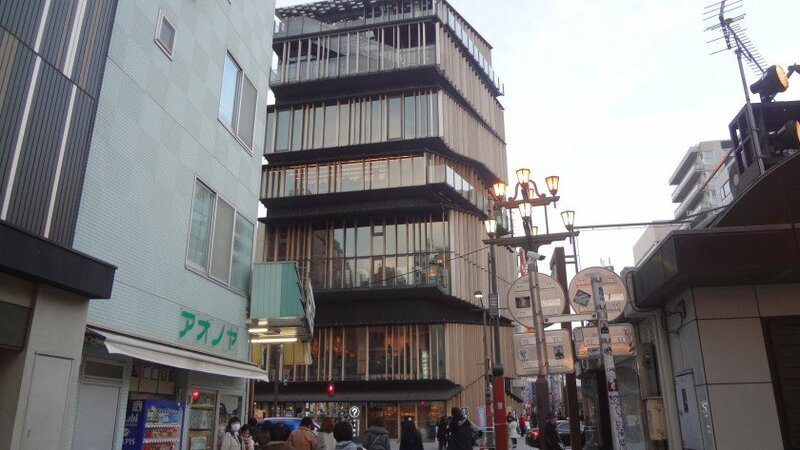 Like the tree in the courtyard that was grew from the stump of a bombed tree, the rebuilding of Sensoji Temple after the war became a symbol of the rebirth of Japan. 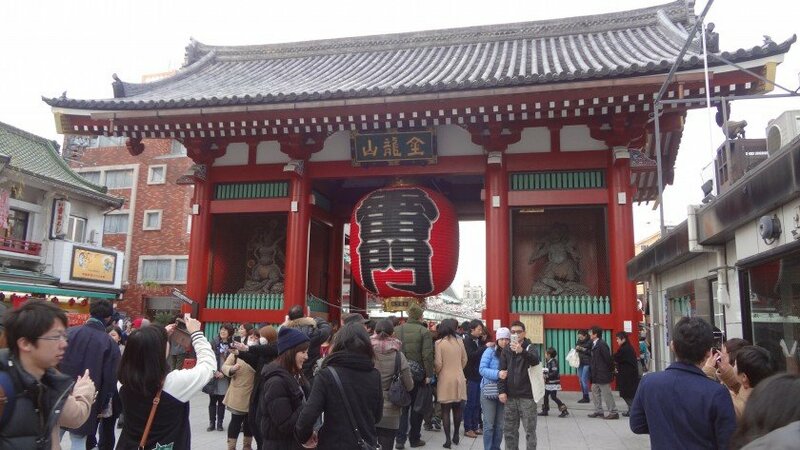 The entrance is dominated by the imposing Kaminarimon (“Thunder Gate”) featuring a massive paper lantern painted in dramatic red-and-black tones to suggest thunderclouds and lightning. 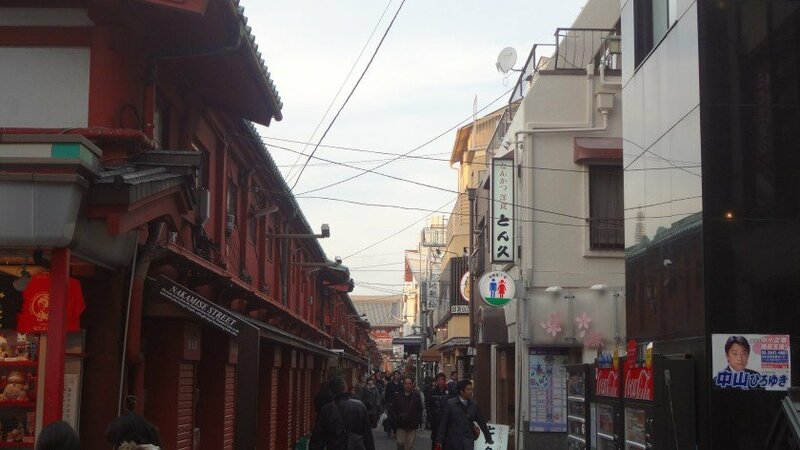 Passing through the Kaminarimon you find Nakamise-dori – a street lined with shops catering to tourists – followed by Hozomon (“Treasure House Gate”) acting as the entrance to the inner complex. Nakamise-dori is about 250 meters long and contains around 89 shops selling souvenirs ranging from fans, woodblock prints, kimono and other robes to Godzilla toys, t-shirts and mobile phone cases. While it might seem like a modern tourist trap, the shops themselves are part of a living tradition of selling to pilgrims who walked to Sensoji. The surrounding area has many traditional shops and restaurants that feature traditional dishes. Sensoji is also the focus of Tokyo’s largest and most popular festival, Sanja Matsuri, shutting down the streets for 3-4 days in late spring. 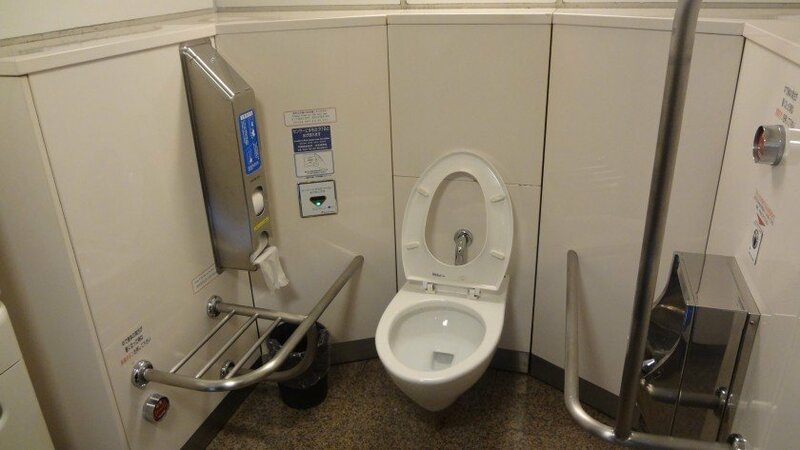 Though the temple is serviced by a few different train stations, some are further than others, so, please take your mobility into consideration. Well, we’ll start with the biggest barrier – crowds. 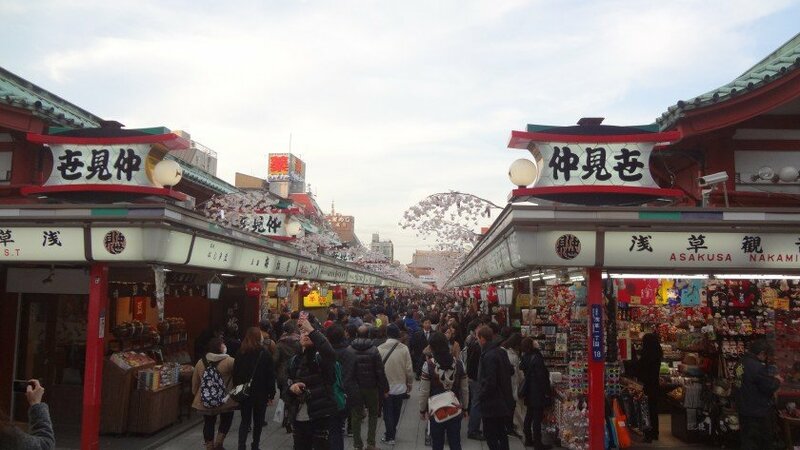 As mentioned above, Sensoji and the Asakusa area one of the most visited sites in Japan. 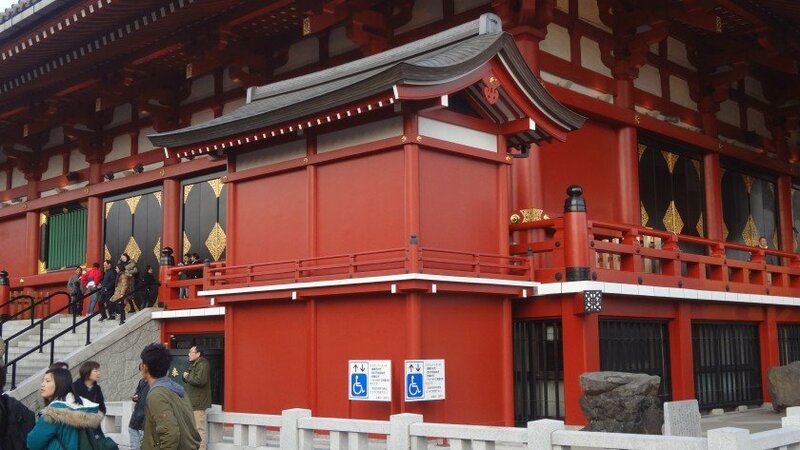 The Kaminarimon is a landmark that most people use to meet up at and, as the entrance, even tour buses that park at the back walk there for photo opportunities. 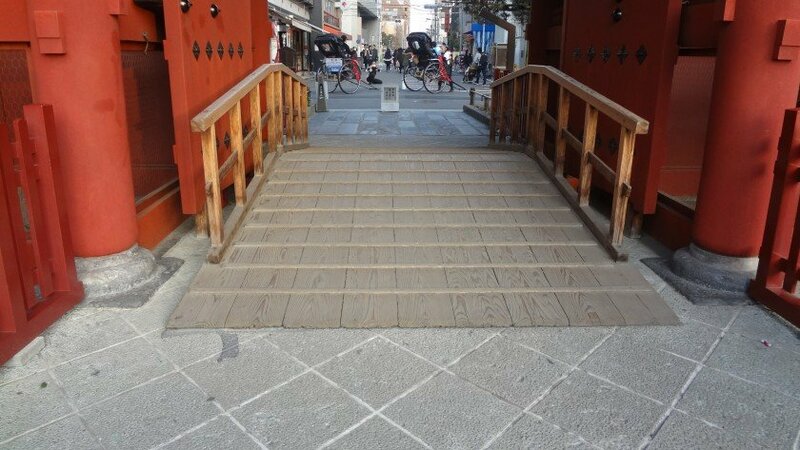 Following from there, Nakamise-dori is not very wide and is filled with people slowly strolling and focusing on buying souveniers – meaning they have a high probability of bumping into a wheelchair user. Getting close to the shops to take a look can be difficult as you get swept along with the crowd and getting into the shops is next to impossible. 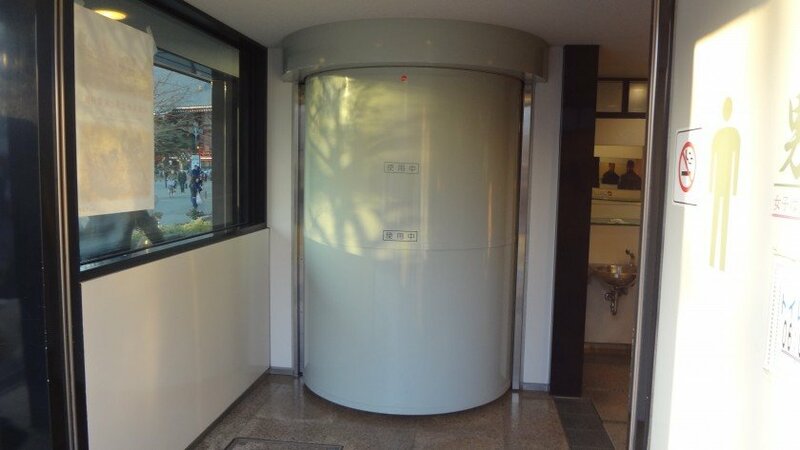 The staff are very used to foreigners and are there to sell goods, so they are very helpful. On the way back, or if you don’t feel you need to visit the shops, you can skirt around the back of stores and take the alley to where you want to go. Though there are still people using the paths, it much less crowded. However, once through Nakamise-dori, things open up a bit and it is a bit smoother sailing. There are some great places to take shots of Japanese landmarks and enjoy the atmosphere. However, the main event is the temple itself. As you might expect of a 1350 year-old temple (well, rebuilt in the old style), there are stairs heading up to it. 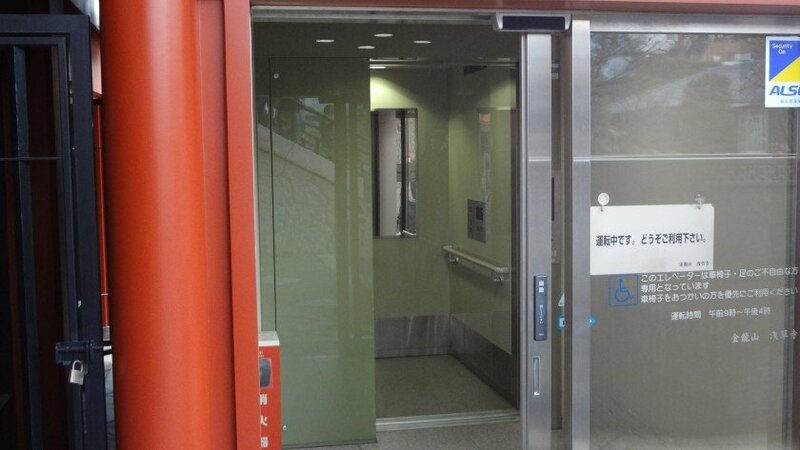 What you might not expect is that there is an elevator! I’m not sure when it was built, but it must be recent because I don’t remember it from before. They have done a remarkable job of blending it into the temple, so you may miss it. Looking at the temple face-on, it is the small structure stuck on the left hand side (there are handicap-mark signs leading to it too). Once you go up it, you can go up to see the relics and the box where people put in a coin and pray (though, it gets crowded). 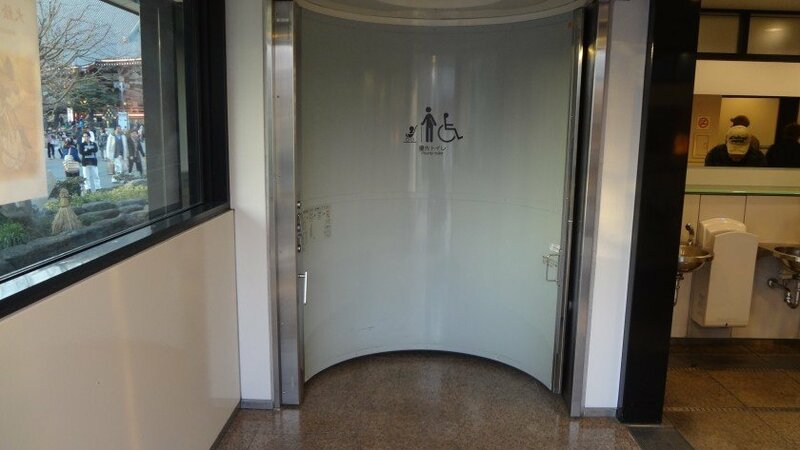 There are four convenient wheelchair-accessible toilets available in the area. 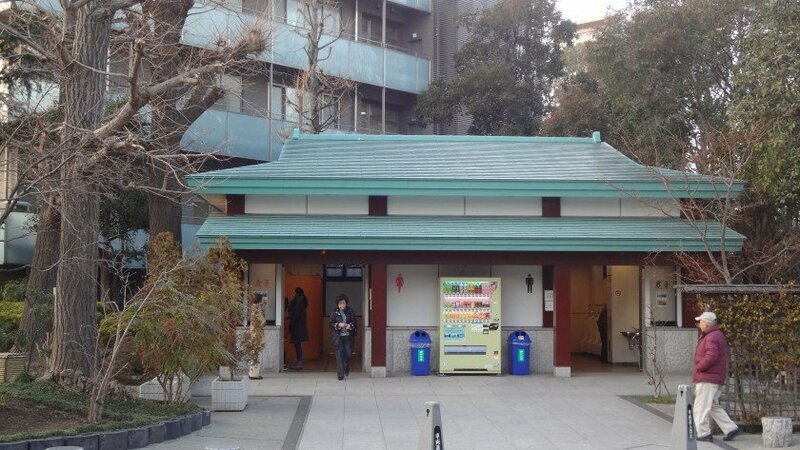 By far the cleanest is at the Asakusa Culture and Sightseeing Center located opposite of the Kaminarimon. 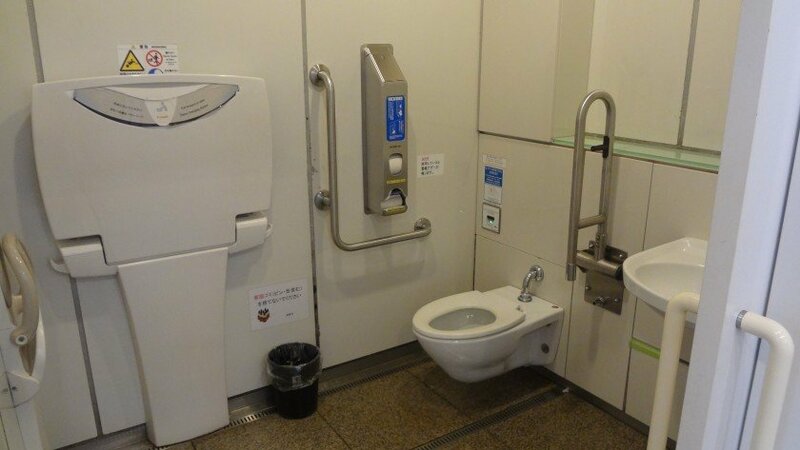 It not only has great information, but also has at least two accessible toilets. 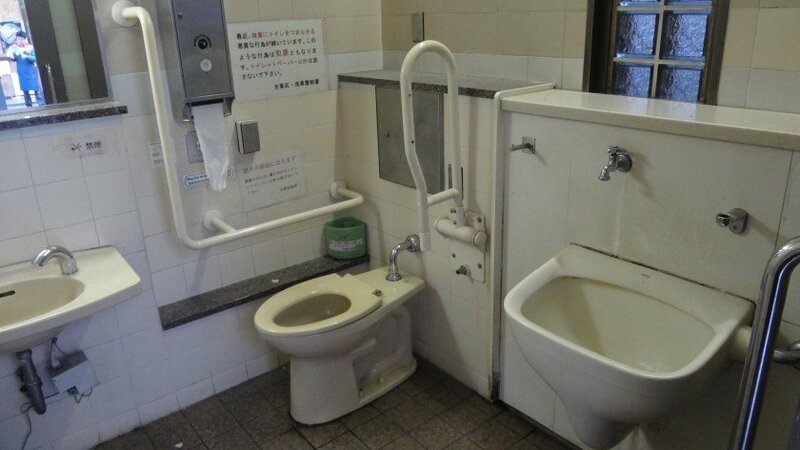 The toilets are in the following slideshow, however, one more point I should make is that the biggest toilet located near the temple has an odd rotating door that could make it difficult to get in, especially if accompanied by an attendant. Visiting Sensoji is a must. The crowds can very by day-of-the week (weekends are more crowded as Japanese tourists have a day off) and time of the year. From January 1-15th Japanese go visit temples to pray for the new year. Being a very popular location, it is not a recommended time to visit! 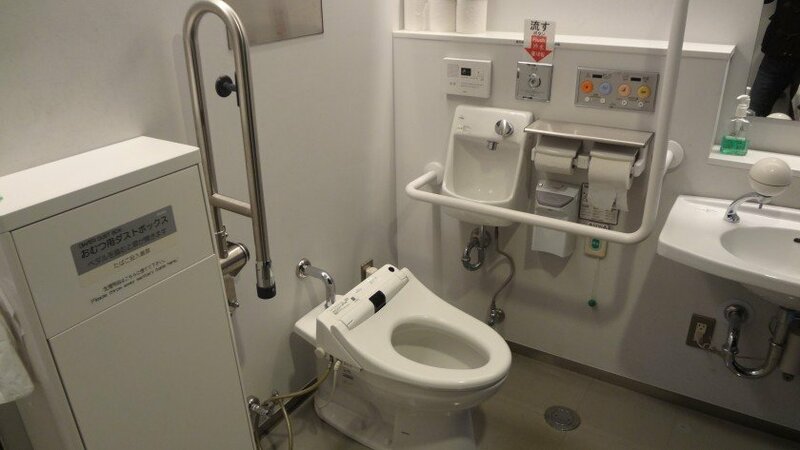 Aside from the crowds, the main temple is accessible, there are toilets available and most restaurants in the surrounding area are more accessible than other areas in Japan. Check it out! Do you have any thoughts to share? 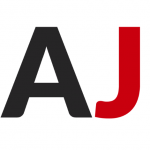 Leave a comment below or catch up with us on social media!